If you’ve ever felt spiritual fatigue–and maybe you’re there right now– this book speaks straight to that feeling. Find refreshment and recovery from your weariness. Many Christians have a deep desire to “turn the corner” in their walk with Jesus. Some don’t know where to start, others are held back by the past, and still others are blinded or calloused by sin. King David, the man after God’s own heart, experienced this very thing, and in Worn Out by Obedience he is presented as a spiritual mentor. David is both flawed and on fire. He is the person we are and the person we want to be. In studying his extended stay in Ziklag (1 Samuel 27–30), readers will see how God often molds our hearts in seasons of brokenness, loneliness, and disappointment—sometimes even in our disobedience. 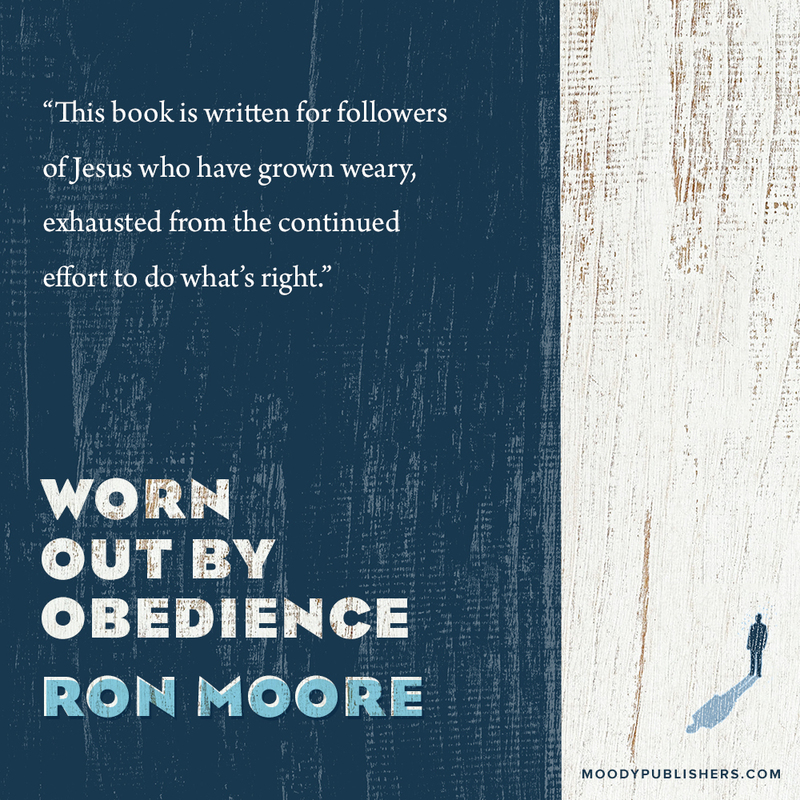 If you are spiritually weary, discouraged, or exhausted, Worn Out by Obedience will help you to keep going—or start moving. You’ll learn the signs of spiritual fatigue and how to avoid them. You’ll see that God uses all our experiences—good and bad—to form Christ in us. And you’ll remember God’s great grace of rescue, recovery, and restoration. Also available in the The Bible Chapel Bookstore for a special price of $10.49!